The biggest names in Supercross racing history will take centre stage at Sydney’s Qudos Bank Arena when Chad Reed, Ricky Carmichael and Jason Anderson line up for the AUS-X Open in November. Reed, a two-time world champion and Australia’s greatest Supercross athlete of all time says racing back home sets off plenty of emotion and drive to win in front of his home crowd. Out of contract for 2018 Reed says that despite the goal being to renew his world championship contract for a further two years, there would be no better place to close the chapter on his illustrious career than racing back home in Australia. 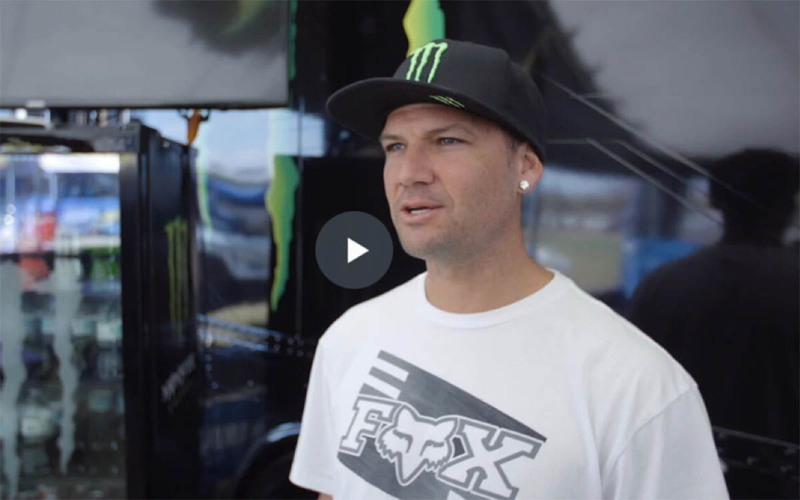 Making the trip from the US to take on the best riders Australia has to offer is world number 4 Jason Anderson who is fresh off a win at the final round of the AMA Supercross World Championship in Las Vegas. There certainly isn’t any love lost between Reed and Anderson, with Anderson controversially slamming Reed off the track for the win in Vegas and the AUS-X Open marks the next opportunity for the pair to lock horns in competition. Joining these two superstars in the latest high-profile announcement, 5 times World Supercross Champion and the Greatest of All Time – Ricky Carmichael returns to the AUS-X Open. The AUS-X Open Sydney event will be held at Qudos Bank Arena on November 11 and 12, with tickets on sale today via Ticketek.